Coffee Monday – It definitely helps. 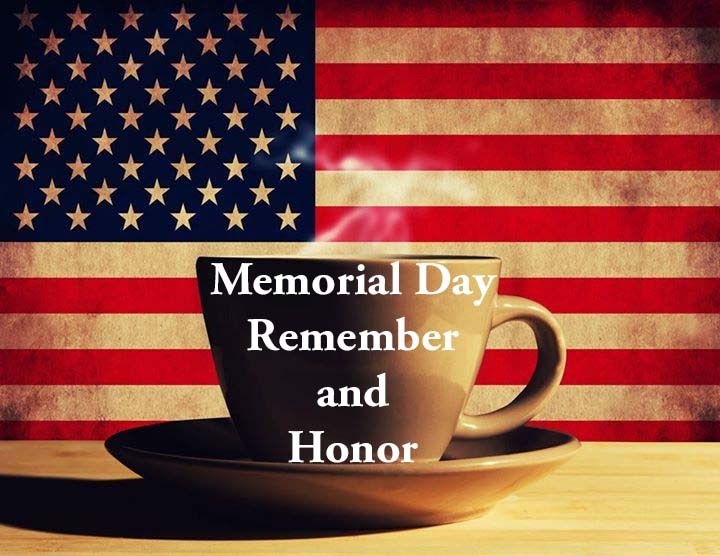 Coffee Monday – Are you mentally prepared for today? Coffee Mon…Tuesday… Our trip to Hawaii continues. One of my friends on Facebook shared another locally owned coffee farm in Hawaii. In 1998, longtime residents of Pahala, the Dacalio-Kekoa Ohana set out on a new adventure in their hometown. The town of Pahala is located in the Ka’u District on the Island of Hawaii, also known as the Big Island. Pahala is located between Hilo and Kona, bordering Hawaii Volcanoes National Park. The closest town is Na’alehu. Pahala was once a thriving sugar plantation town. With the closure of Ka’u Sugar Mill in 1996 and it’s main source of income, the townspeople had to search for other means of surviving. Longtime residents were forced to move away or travel long distance in search for jobs. An opportunity came knocking in 1998 and that is when Verna dacalio and her ohana started their family owned coffee business, Pumehana Farm. With long hours, dedication and lots of patience, the agriculture lands were cleared, prepped and cultivated. The farm is located on the slopes of Mauna Loa, five miles above town and at an elevation of 1,800 feet. The trees are the Guatemala (Typica) variety and belongs to the Arabica species. These specific Typica beans come from Guatemala, located in North Central America. The Arabica species, which comes from the Ethiopian Plateau, grows at a higher altitude and have a more refined flavor. Arabica coffee is a higher quality coffee. Each coffee tree was planted manually. During harvest season, only the red, ripe beans are hand picked. Once the beans are picked they are pulped in the evening, fermented overnight, washed early the next morning and then sun-dried. After the drying process, the best of the best beans are selected and roasted. Pumehana Family’s specialty is Medium Roast. Wishing you were drinking coffee in Hawaii this morning? Me too. Instead, I am grabbing a fast cup of coffee and heading to work. Instead of moping, I found some small coffee growers in Hawaii that have shops on Etsy. These are small farms and you are buying directly from the farmer. We purchased a very run down farm in 2005. Since that time we have planted nearly 4,000 coffee trees, 50 cacao trees and cared for the 30 macadamia nuts trees that were horribly overgrown. We now produce award winning 100% estate Kona coffee as well as dehydrated mac nuts and handmade artisan chocolates. We have added two catchment tanks to collect and store rain water for use in irrigation. We raise chickens to eat the bugs which allows us to farm organically. We have large trees on the property providing shade and habitat for native birds. In 2013 our coffee won the chef’s award at the international Kona Coffee Festival. Every bag of coffee that we sell has been planted, harvested, pulped, dried, milled and roasted by us on our farm. It is a labor of love. Wolfpack Farms is a 5 acre coffee farm on the slopes of Hualalai. Long ago these lands were known as the Kamehameha Farmlands. Our coffee is grown at a 2000 foot elevation in the heart of the prime Kona region. Please let me know if you have tried either of these coffees or if you know of more small coffee farms in Hawaii you would like to see added to this post. Learn more About Forest St Clothing Company and check out their other fun t-shirts. Coffee Monday – Too hot for coffee? It may not officially be summer yet, but we have already hit triple digit heat. I love a nice cup of hot coffee in the mornings, but lately it has been too hot to enjoy it. Some of these are more dessert like than morning “wake me up” drinks, but they all look deliciously cool and refreshing. Click on the image above or the blue links to go to domesticallycreative.com for the recipes. In Yugoslavia, small coffee places are known as kafano, where the owners takes your order, brew and serve you coffee. It is usually served in a long-handled open pot known as devza (that should be cezva, pronounced “keffa.” In Turkey it’s called an Ibrik), and the coffee is poured into tiny demitasse-type cups. This is like an espresso, but it has the full impart of caffeine. Done right, it rewards the drinker with a remarkable coffee experience. Espresso has 1/3 of the caffeine of a regular cup of coffee. One time in Germany, the government hired a special force known as Kaffee Schnufflers, to sniff out illicit coffee roasters and smugglers. It was an intense campaign brought about by King Frederick who did not believe that coffee-drinking soldiers can be depended upon. Fortunately he failed for he too loved coffee. The Italians drink their espresso with sugar, the Germans and Swiss – with equal parts of hot chocolate, the Mexicans – with cinnamon, the Belgians – with chocolate. Moroccans drink their coffee with peppercorns, the Ethiopians – with a pinch of salt. Coffee drinkers in the Middle East usually add cardamom and spices. Whipped cream is the favourite amongst Austrians. The Egyptians are extremely fond of pure and strong coffee. They seldom add sugar to it, nor milk nor cream. They serve unsweeteened coffee to mourners and sweetened coffee at weddings. The Italians are the unrivaled World Masters of Espresso. For more fun coffee facts click on the link above.